The question of whether Alberta should force industry-wide production cuts to relieve an oversupply of oil and support prices has opened a rift between companies that are suffering from price discounts and those that aren't. 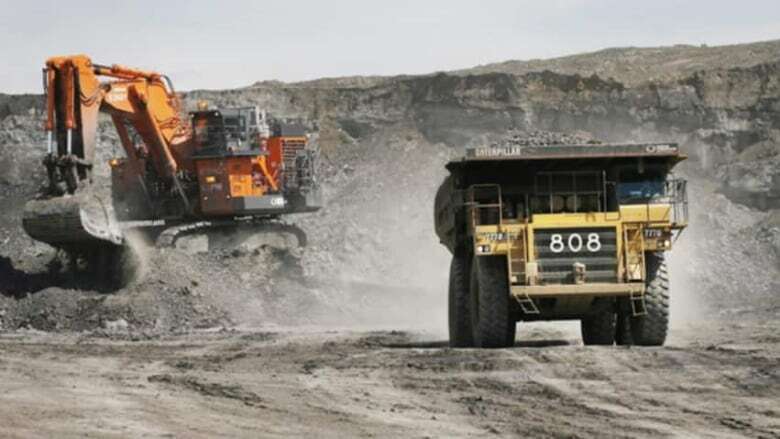 On Thursday, oilsands and refining firms Suncor Energy Inc. and Husky Energy Inc. rejected a call by rival Cenovus Energy Inc. for government-imposed temporary cuts, while Canadian Natural Resources Ltd. stepped up to endorse the idea. The province, meanwhile, will only say it is considering the request along with other options to help support prices. The recent "differential" between Western Canadian Select bitumen-blend crude and New York-traded West Texas Intermediate oil, if held for a year, would create an Alberta royalty shortfall of about $4 billion, Phil Skolnick, an analyst at Eight Capital Research, said in a report on Thursday. He added the discounts would cause an oil industry-related Canadian federal income tax loss of about $13 billion and an annual U.S. federal income tax gain of about $12 billion from higher U.S. refining earnings (all figures in Canadian currency). "This is an incredibly serious problem," he said. "We looked at everything we could possibly think of, and this is the only option I've seen that has a very high probability of success and also can be implemented very rapidly." Canadian Natural spokeswoman Julie Woo agreed, saying in an email Thursday that the times "call for urgent action" on production cuts. Other players in the industry disagreed. Suncor has minimal exposure to the differential and therefore shouldn't have to reduce its production, company spokeswoman Sneh Seetal said. "We upgrade or refine over 70 per cent of the barrels we produce in Alberta," she said, adding the company should be allowed to benefit from the refineries and upgraders it has built at the cost of billions of dollars, as well as the pipeline space it has contracted that insulate it from local price discounts. Husky spokeswoman Kim Guttormson agreed in an email and noted there's "an unacceptably high level of economic and trade risk" from market intervention. The province has called on Ottawa to help increase crude-by-rail shipments and unveiled Wednesday a "lost-revenue counter" to be displayed in Ottawa to track how much money Canadians are missing out on since the Trans Mountain Pipeline expansion approval was overturned by the Federal Court of Appeal in August. In his report, Skolnick said the temporary cuts would work to clear clogged storage and reduce price discounts to the benefit of the provincial treasury. "Shut-in volumes would quickly alleviate the pain by freeing up export pipeline space and clearing out Alberta storage levels," he said, adding the province appears to have the legislative right to make the move. He expects price discounts to moderate over the next few months as companies voluntarily reduce output, crude-by-rail exports rise, U.S. refineries come back on line after fall maintenance shutdowns and the 80,000-barrel-per-day Sturgeon Refinery begins processing bitumen, likely by early next year, near Edmonton. According to Net Energy, the WCS-WTI differential was at $42.95 US per barrel on Thursday morning, a difference that means producers were getting about $14 US for each barrel of bitumen blend sold on spot markets. The discount versus WTI was also elevated for upgraded synthetic crude at $31.55 US per barrel and for Edmonton light oil at $34.60 US. Implied bitumen prices in Canada after subtracting the cost of the light oil diluent needed to allow it to flow in a pipeline are about 83 cents per barrel or about half the cost of a bottle of Diet Coke, RBC energy analyst Greg Pardy said in a report. "By comparison, Mexican Maya (a comparable crude stream to WCS in terms of gravity and sulphur content) is capturing $63 US on the U.S. Gulf Coast.... This dynamic reflects the fact that Canada's depressed oil prices are heavily related to egress constraints," he wrote.